Prior to founding the agency, she was Chairman/CEO of Young & Rubicam/WPP’s The Bravo Group, a company she helped launch and subsequently build during her twenty-four-year tenure, becoming the largest U.S. Hispanic agency of all time. As a visionary creative leader and partner to many respected companies, she has achieved a transformational career in cross-cultural brand-building, working with clients such as AT&T, KRAFT Foods, Bank of America, Pfizer, Sears, Unilever and others. Among her many honors: The New York Women in Communication’s Matrix Award; AAF’s Role Model; New York Women’s Agenda Star; The Carnegie Foundation; The Carvel Immigrant Award; and New York’s International Center recognition which she shares with Nobel laureate Elie Weisel and former Secretary of State Henry Kissinger. Presenting Daisy with the award, Ambassador Ed Ney, Chairman emeritus, Y&R, described her as “the most important Madison Avenue success story written by a woman not born in the United States. Besides having received numerous industry and creative awards (Clio, Effie, Addy, etc. ), she has consistently appeared as one of the Most Influential Latinos in the U.S.A. 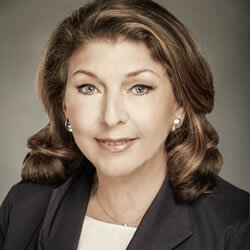 Her participation on boards includes the Ad Council, the AEF, and the 4A’s Foundation. 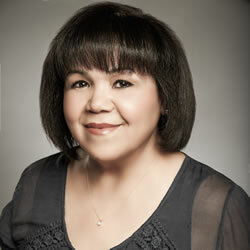 She was a founding member and President of the Association of Hispanic Advertising Agencies (AHAA). She was appointed by former Mayor Bloomberg to serve as City Commissioner on New York’s Arts and Entertainment Commission. In September 2016, Expósito-Ulla received the ADCOLOR® Lifetime Achievement Award. Helped found the agency with Daisy, his wife and partner, and a group of their close colleagues. He brings a rich, eclectic background in the varied communications-related fields of film, journalism and music production. He is a recipient of various Clio, Addy, Telly, NY Festival, London Film Festival, and CINE Golden Eagle awards, among others, including two Latin Grammy nominations and an Emmy. Along with Oscar-winning cinematographer Néstor Almendros, he was recognized with the IDA Award from Hollywood’s International Documentary Association for their acclaimed film Nobody Listened, introduced by Joseph Papp at NY’s The Public and chosen by the American Film Institute, among a number of festivals. His documentary In Their Own Words, shot for the United States Information Agency, was chosen for preservation by the National Archives of the Library of Congress. His feature-length film Guaguasí garnered him several awards and the praise of intellectuals of the caliber of Susan Sontag. As a music producer, he gathered some music luminaries (Gato Barbieri, Paquito D’Rivera, Arturo Sandoval, Cachao, Freddie Cole, Graciela, Cándido, Chocolate Armenteros, Andy González and others) for the critically-acclaimed, come-back recordings of the late Latin jazz legend Arturo (Chico) O’Farrill. An early start at the 4A’s Multicultural Marketing Internship Program immediately ushered Fernando into an Account Management career. He began in the General market, quickly grew within the ranks and eventually moved on to his life-long passion working Hispanic marketing at Saatchi & Saatchi’s Conill advertising. There he honed in and developed his Hispanic communications skills, eventually leading to work in this capacity at various other agencies. 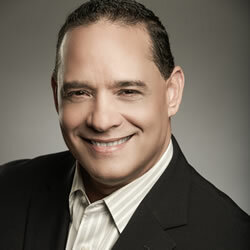 Prior to d expósito & Partners, Fernando was SVP/GM at Mosaica Multicultural Communications, a sister company of The Bravo Group of companies and before that at Bravo itself, totaling more than 12 years combined at both companies leading such key accounts as AT&T, Campbell’s, Citibank, Ford/Lincoln-Mercury, Sears, McDonald’s, New York Times, Unilever, U.S. Army and the U.S. Census. During his tenure there he was credited with many successful Hispanic communications programs that surpassed client’s expectations in the areas of advertising, promotions, event marketing, public relations and CRM. In 2005, he co-founded CMS partners, now d expósito & Partners. Fernando oversees client services to ensure collaboration across disciplines, client leadership, quality, responsiveness and effectiveness. He holds a Marketing degree from Manhattan College with a minor concentration in Finance. Gloria has over 25 years of advertising experience in the Hispanic market and she has led some of the most remarkable media success stories for this market. She started her advertising career at Conill Advertising – then the largest Hispanic Advertising Agency. In 1989 she moved to The Bravo Group, as Sr. Media Planner/Buyer and later became SVP Director of Media Services. Gloria was instrumental in building Bravo’s media team to over 45 people. In 2005, she co-founded CMS Partners, which a year later was acquired by Daisy Expósito-Ulla and Jorge Ulla as majority stakeholders. Gloria has received multiple media Awards in the areas of strategic planning and best use of media, with various Awards from the NHAP (National Hispanic Association of Publications), including “Executive Media Planner of the Year” in 2008. She was recognized by El Diario La Prensa with the “Accomplished Women Award” in 2005. Gloria is also a member of the 4A’s Media Measurement Committee. Gloria is originally from the Dominican Republic, and she now lives in Long Island and is the proud mother of Joey, Kimberly and Krystal. 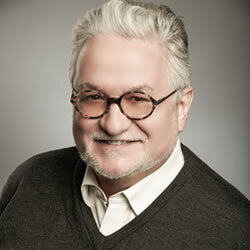 John oversees all financial operations at d expósito & Partners, having joined his colleagues as a partner in 2006. Prior to that, he served as the Chief Financial Officer of The Bravo Group, where he was a key player in the development of what became the largest multicultural communications company in the U.S., with close to half a billion dollars in billings. John’s financial experience expands over 25 years, having worked on brands across the board, including: retail; automotive; government; packaged-goods; and more. John earned his BS in accounting from the State University at Buffalo. He is a passionate New York Sports enthusiast and can often be found visiting his racehorses at the barn over the weekend. 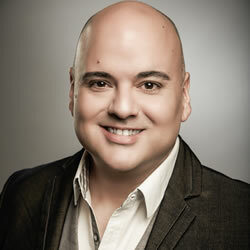 Louis is a consummate marketing professional and champion for the Hispanic community. At d expósito & Partners, Louis leads the AARP and ConAgra Foods accounts, as well as pro-bono work with the non-profit sector. 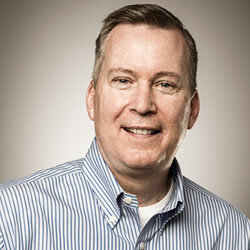 He has led new business development and significantly contributed to the agency’s growth. His work has earned several awards, including two David Ogilvy Awards, two Telly Awards and a Hispanic Account Planning Excelencia Award. Before d expósito & Partners, Louis worked at The Marketing Store, The Bravo Group and Warwick Baker O’Neill. Louis has spoken at premiere Marketing and Advertising conferences, including the ANA Masters of Marketing Conference and LatinVision CEO Summit, and at prestigious MBA programs, including Columbia University, New York University and Indiana University.